Easy to Stitch Half-Double Crochet Filet! 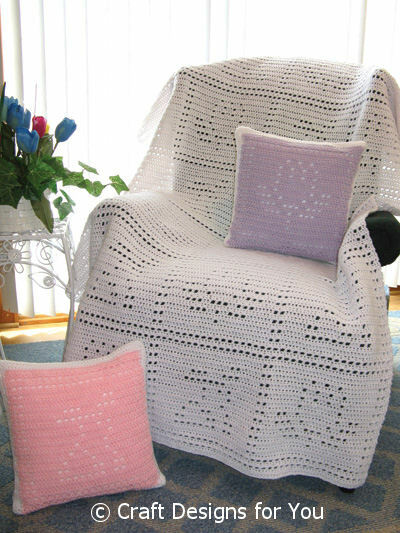 Afghan is crocheted all at once, no need for piecing together squares. Crocheted with Red Heart Baby Econo Pompadour with sparkling thread - worsted weight yarn. Afghan is 47" wide x 64" high; Pillows fit standard 14" pillow forms.